Find houses for rent in the Greater El Paso area by selecting from our list of available and upcoming rental homes, duplexes, apartments, and condos. We make it easy for you to find houses for rent in El Paso with our “Search” by monthly lease amount, move in specials, features, location and more. Check out photos, prices, & amenities to find your perfect rental home. Most of the time the owner benefits from a “highest cash offer” when we buy but the seller usually also benefits in other ways. Most of our customer are very happy we bought their property and eventually refer someone they know. This usually happens within 0-3 years so we know that we must give every customer FIRST CLASS service every time and on every deal. We do what we say and we say what we do. This is why Danny buys houses and he’s successful and and that’s why David buys houses and he’s successful. Together we make sure we bring some of the highest cash offers to secure the deals we want to buy. We also work with a large group of seasoned and big influence investors that we wholesale multiple deals to on a regular basis so when we buy a house, apartment complex, or commercial property it’s because we know we can close because we want to keep it to lease the property, flip it, or sell it to our in-network… thus every time we want to buy, we do and that means all the time with far and few exceptions. Our company buys beat up houses, homes in decent condition, office buildings, apartment complexes, lots of iced coffee, and all the real estate you can imagine in between if it makes sense for all those involved. — Danny and David, The real estate opportunity creators of El Paso TX. 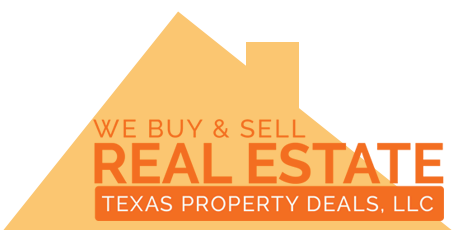 We are Texas Property Deals, LLC. We Buy, Sell, and Rent Real Estate primarily in the El Paso, TX area. We are the one stop shopping for all of your real estate needs. Sell Quick or Buy Fast! We don’t only buy houses from anyone in El Paso but we also sell houses. If you are interested in buying anything from a fixer upper to a “like new” property just give us a call and see what we have available. Call us with any questions and we will be more than happy to clarify any concerns you may have about the home selling process and what this entails. Get started today by calling us at (915) 493-2936 to make an appointment with us or just call to say “HI” and let us know you are wanting to sell your house or property fast. We will be more than glad to answer ALL of your questions and steer you the right way when selling to us for CASH. Call TODAY! We are local real estate investors, homebuyers buy sell real estate. We purchase and sell homes at a wholesale discount.